ZCM0800-WT Light Duty Electric Tape Dispenser with 3 Preset Length Memory. Battery Operated or AC adaptor. Great for small box or package taping. By START International. 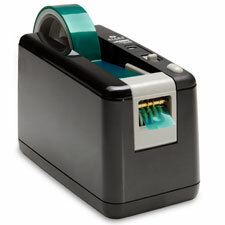 The START International ZCM0800-WT electric tape dispenser with AC power adapter automatically cuts and advances predefined lengths of thin film tape for low to medium production of repetitive taping in industrial applications. 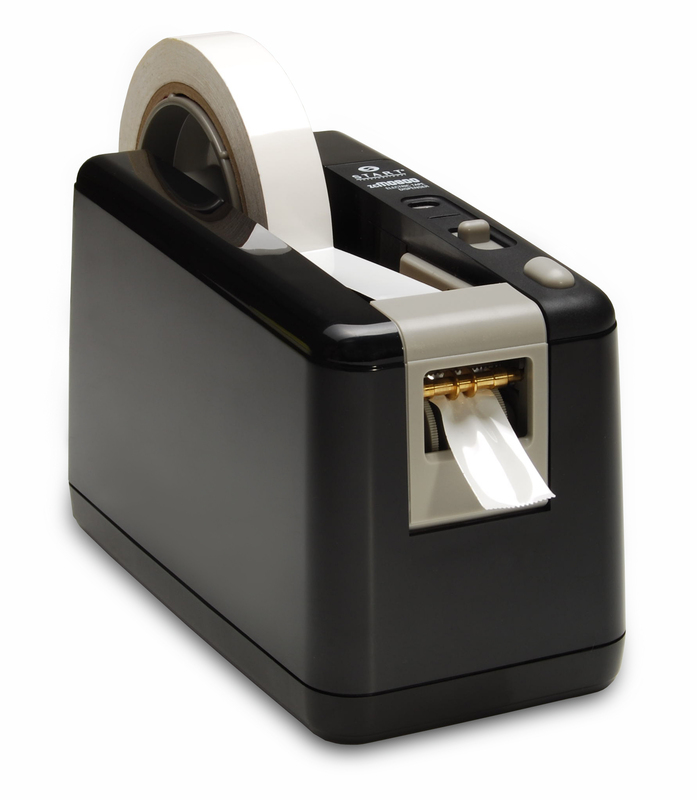 The dispenser accepts tape rolls in widths from 0.25 to 1" (6 to 25 mm) with an outside roll diameter up to 5.3"/135 mm, and comes with 1"/25mm and 3"/76 mm roll core holders. A switch allows the operator to select from 3 preset cut lengths: 1.18"/30 mm, 1.77"/45 mm, or 3.54"/90 mm. The operator cuts the tape by pulling the tape up and over a serrated blade, which automatically advances the next length of tape. 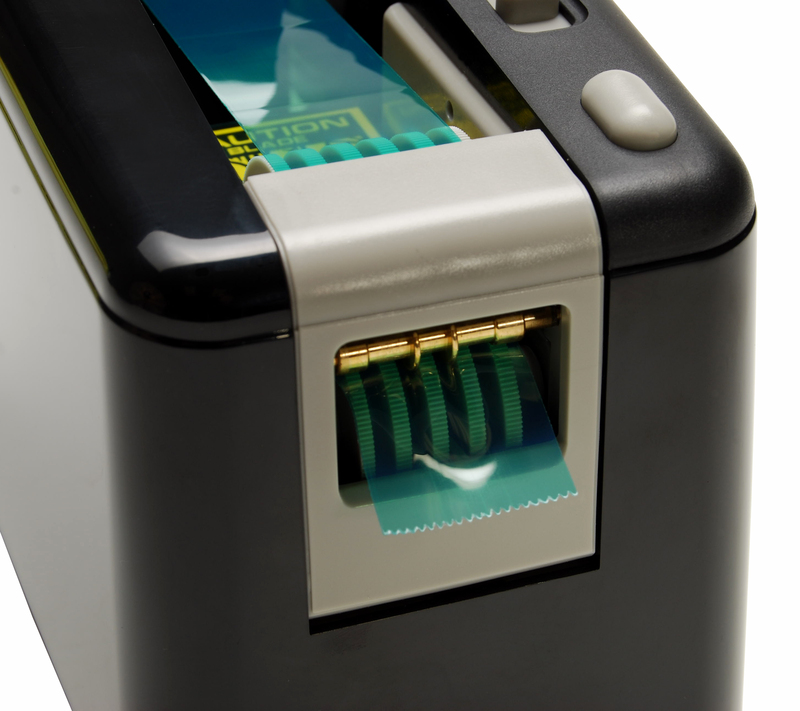 The ZCM0800-WT tape dispenser operates on three D-cell batteries or 115 VDC at 50/60 Hz.